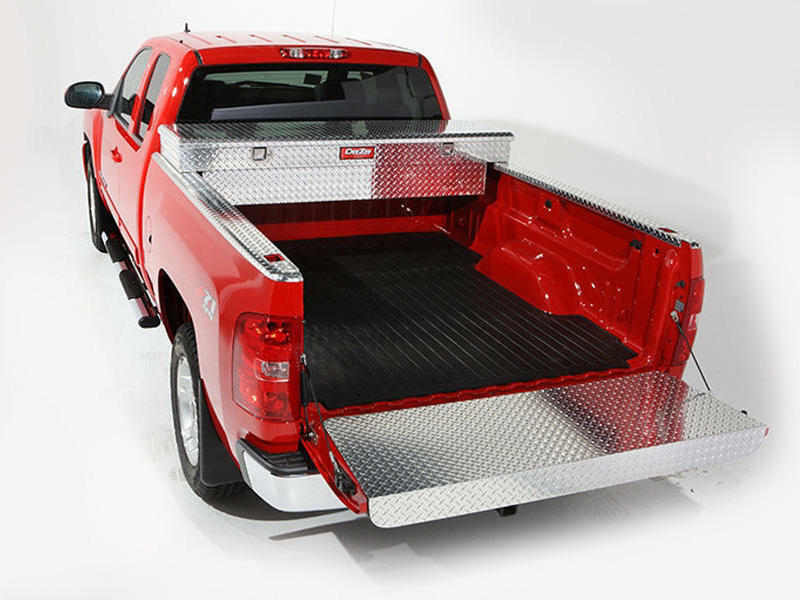 Dee Zee Wrap Side Bed Caps - Protects the top edge of your truck's bed. Made from heavy gauge Brite-Tread Aluminum. Custom fit that wraps the rear corners of the bed for maximum protection. Dee Zee's products sustain the worker, the weekender and everything in between. Our extensive product lines are built with you in mind. We recognize your need for durable, functional, and stylish products to keep up with your hectic pace. Dee Zee's classic styles are intertwined with the newest modern looks to explicitly satisfy your needs. 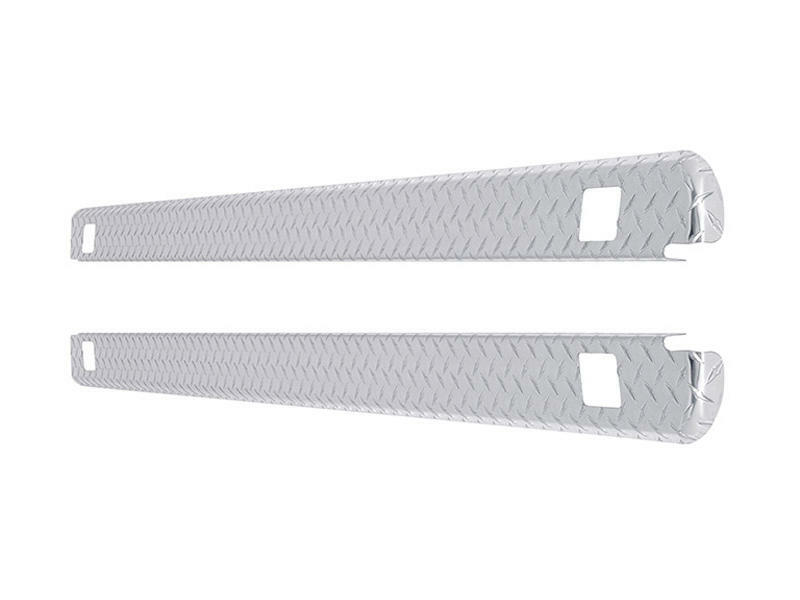 Dee Zee has been a staple brand in the truck accessory market since 1977. We are trusted to support the biggest names in the auto industry as their Original Equipment Manufacturer (OEM) on a variety of products. If you take a closer look, you may see a Dee Zee finished product underneath a Chrysler, Ford, GM, Honda, Nissan, Subaru, or Toyota logo. Our proven manufacturing techniques have carried over to our consumer market accessories you see flooding websites, catalogs and your local retail stores. The fertile ground in America's Heartland gives way to five buildings in Central Iowa comprised of almost 700,000 square feet dedicated to manufacturing, packaging, warehousing and shipping. In-house engineers create Dee Zee's storied products with the latest design software to produce custom fit applications for your vehicle. The majority of Dee Zee products are made and packaged in Des Moines, IA with 90% of supplied parts coming from American vendors. Dee Zee is always promoting a cleaner tomorrow by practicing green manufacturing techniques. Our eco-friendly manufacturing processes not only save the end consumer money by using lean practices, but we do our part to protect the planet. Dee Zee's reduced carbon footprint is achieved through massive recycling efforts, material reductions and efficient manufacturing processes. We are proud to work with vendors who are Sustainable Forestry Initiative (SFI) program participants for paper and cardboard products during packaging. If you need more reassurance, maybe one of the best warranty programs in the industry will satisfy you. With a limited-lifetime warranty on the majority of Dee Zee products, you can be guaranteed our brand will withstand the ultimate test of time. LIFE isn't just a 4-letter word. Dee Zee can personalize your vehicle to fit the needs of your lifestyle. Take the hassle out of your everyday routines by giving yourself an extra step into your vehicle or finding the perfect lockable storage box. We are here to accommodate the needs of your vehicle that affect your LIFE.